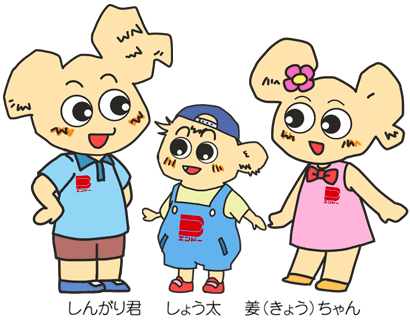 We established Endo Foods Co.Ltd. in April 1961 as a factory producing SHINGARI KANSEIHIN, sweetened pickled ginger, red pickled ginger, pickled scallion, pickled mountain burdock, and plum paste. At that time, raw ginger cultivation was subcontracted through agricultural co-operative associations in Tochigi, and mainly sold to wholesale outlets in Tochigi and Gunma Prefectures. In1963 sushi shops began stocking their own raw ginger to pickle themselves and develop their own unique flavour of sweetened pickle, known as gari. Taking up this idea, we worked tirelessly in the research and development of commercial gari production, and that is how we built the business we have today. 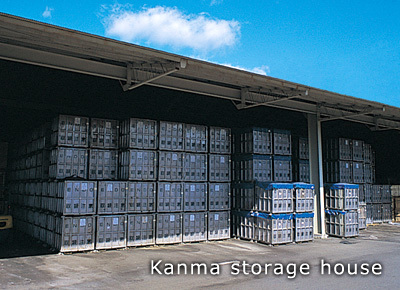 The products manufactured in such a safe, hygienic environment are shipped not only within Japan but also overseas. In order to respond to the demands of our customers, Endo Foods has always striven to value producion of the highest quality, a refined sense of taste and complete cumtomer satisfaction. With Japan Agricultural Standards(JAS) Factory status obtained in January 1988, we have been producing large quantities of high-quality hygienic products from modern facilities at our vast premises which occupy a total area of 23,100 square meters: the main factory covering an area of over 16,500 square meters, and the large-scale Kanma storage house completed in July 1994, some 3 kilometers south of Head Office, providing about 6,600 square meters of additional space. In September, 1999, Endo Foods became the member of HACCP-AJVC in order to introduce the latest hygiene control technology, and we are collecting real-time data and focussing our best endeavours towards the improvement of the health environment. 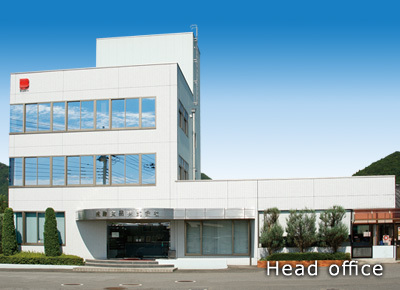 As part of our president Sakae Endo's business philosophy since establishment, we have been maintaining manuals covering all the company's operational procedures, from stocking raw materials to shipment; in order to establish these production systems, a special team was organised to achieve the ISO 9001 certification of the International Organization for Standardization; it took us only 8 months to compile manuals for our whole product range and we successfully achieved ISO 9001 accreditation on March 17, 2000. We opened our Tokyo office on November 1, 2000 at Nihombashi, Chuo-ku, Tokyo. 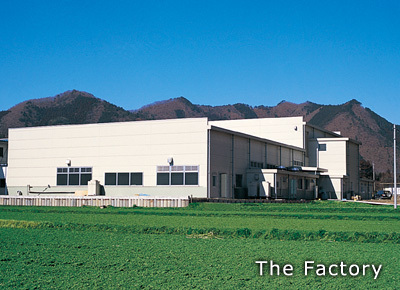 In July, 2001 our new factory was built on land adjoining our main factory, which has introduced the latest hygiene control technology in order to manufacture products which our customers can enjoy with complete confidence. Certification of ISO14001 gained (Mar. 11, 2003). In March 17th, 2003, we completed the ISO 9001:2000 transition process and extensions (to Tokyo Office and Pickle production center). Our some products has been awarded The Monde Selection since 2013. 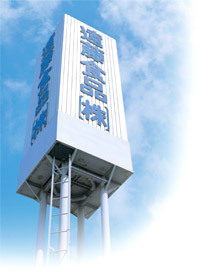 Operating headquarters Endo Foods Co., Ltd. The contents of an enterprise Manufactures of pickled ginger , pickled plum , pickled scallion , etc. Endo Build. 3rd floor, 9-5, Nihombashi, Kobuna-cho, Chuo-ku, Tokyo, Japan. 696 Shimohikoma-cho, Sano-shi, Tochigi Pref, Japan.